This location brings Rosin Eyecare’s famous services to the Hyde Park neighborhood. 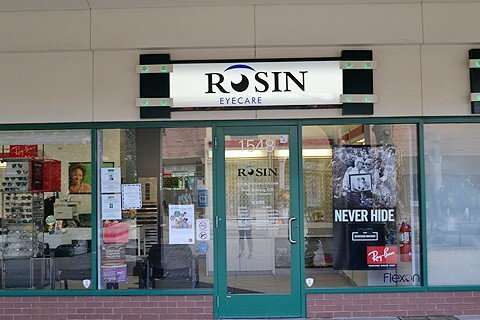 Since 1930, Rosin Eyecare has provided friendly, expert care throughout Chicago and its suburbs, including everything from exams to glasses, contacts, consultations and more. Conveniently located in the Treasure Island strip mall at 1548 E. 55th St., this office is home to eye care experts you can trust and the services you need. Our Hyde Park office also offers free parking, making it easily accessible to neighborhood residents and commuters alike. 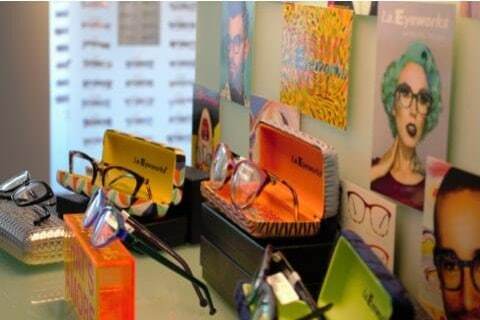 Our Hyde Park office provides exams for both eyeglasses and contact lenses, as well as a wide variety of frames and lens types for men, women and children. We even offer specialty frames and lenses, like those for reading, safety, UV protection and sporting. If you think you may need a new pair of glasses or contacts, or are curious about learning more about LASIK make an appointment with us by calling (773) 667-0024. I had a wonderful experience here. Everyone was very friendly, courteous and accommodating. I saw two of their optometrists who were caring and knowledgeable. The facility is old school, not state of the art, but they get the job done which is the most important thing. Although I did have to come back a couple times more to have my contact lenses exchanged, I appreciated this as I got to try two other brands (the optometrists suggested) I otherwise never would have thought to try out. Through this process, I got to confirm my perfect fit.Reniece helped me out with choosing my glass frames. I’ve always had difficulty and been so self-conscious in choosing a pair to frame my face. She made the whole process FUN with her genuine warmth and care. She was very informative, helpful, patient and efficient. Top notch customer service right here. Thank you, Reniece! Thank you for the wonderful experience, Rosin Hyde Park Team! Making an appointment online was easy; the staff emailed us forms to print and fill out in advance; they gave a courtesy reminder phone call. When my husband and I arrived, not only were we greeted with a smile and immediately seen, but the staff didn’t bat an eye at the fact that we had our toddler in tow and they humored her chatty, wandering ways (i.e. no evil eye that she wasn’t sitting perfectly still and quiet). We went on a Thursday and I believe we saw Dr. Szafranski, and she was fabulous. Really nice, and seemed super knowledgeable. She actually seemed to want to find the exact right prescription for me (which, it turns out, had changed significantly in one eye), literally visually checked the fit of my contact lenses (no doctor has ever checked that for me right away, they just ask if it “feels ok”), checked my eyes for allergy (again, no one has ever done so, and now I have finally figured out why my contacts get blurry and slide around sometimes!) and told me where/how I could get some anti-allergy eye drops inexpensively. Bonus: No “puff of air” machine! Instead they have one that uses light. And one of the most awesome things was that there was absolutely no sales pitch to buy anything afterward.